Considering that I have published 17 posts already in 2016 prior to this one and have not written anything promoting my services other than maybe the LinkedIn post from the first week of January, I hope you will bear with me on a semi-promotional post. In the end, you should choose a photographer that you feel is a good fit for your particular headshot needs. 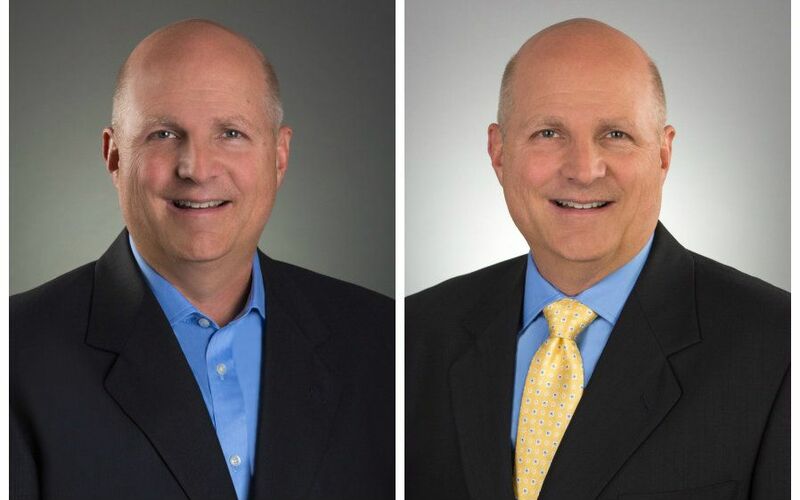 The two headshots above were taken in our North Raleigh studio. As you can see, one of them is a business casual headshot and the other is a formal headshot. The only difference in the outfit is tie off and tie on, but for men, it makes a huge difference with or without a tie. In certain professions, a tie may be overkill while in others wearing a tie is a given and expected. The nice thing about choosing our $190 option listed here is that you can get 3 different images and be photographed in two different outfits ( and potentially 3 outfits ). Like the two headshots above, this gives provides you with options because having variety may come in handy. It's true that you can only use one headshot at a time on LinkedIn but having three retouched images allows you the flexibility to switch out images as you see fit or to have other images for different purposes. There may be times that having one casual headshot and two formal headshots will come in handy or mix up the three image combination as you see fit. You'll have plenty of images to choose from, so don't worry about finding three final images. Many of our clients struggle to narrow it down to just three images. I'd love to earn your business, but if you choose another photographer, that's completely up to you. If you'd like to learn more about our services, please call use at 919.723.8453 or use our online web form.